Guess Who Will Be Working At US Cellular Field! We are excited to be given the opportunity to install a retaining wall for one of our favorite teams, the Chicago White Sox, at US Cellular Field! We will be working around the White Sox’s schedule, but we’ll be sure to post some pictures of the job soon! Thank you to all of our loyal customers, we are proud to continue to grow our company year after year! Can’t wait to see what the rest of the year brings! Brighten Your Night With Landscape Lighting! 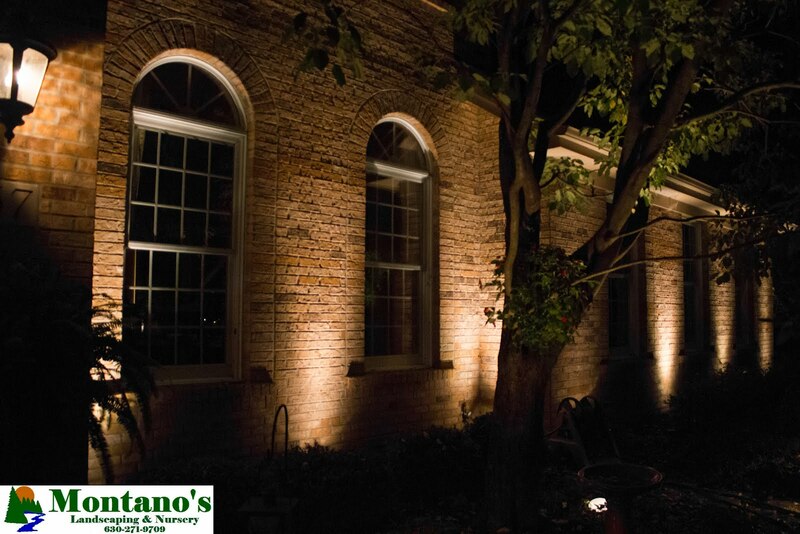 With the shorter days and time change in effect, it is the perfect time to add landscape lighting to your home! With professionally installed landscape lighting, you can illuminate the architectural features of your home, highlight the beauty of your landscape and provide safety and security for your property! We use low voltage LED lighting, which saves you money on your electric bill, but still provides that warm glow of a halogen bulb! Interested in learning more? Give us a call and schedule a free consultation today! Don’t Delay Your Fall Clean Up! Having a hard time finding your grass? Don’t wait until the last minute, schedule your fall clean up now! A fall clean up typically includes power blowing of flower beds, edging, trimming back perennials and one lawn mowing, but can be customized to fit your needs! Give us a call today! Cooler Temperatures Makes For The Perfect Time To Plant! Now that the hot summer temperatures are winding down, it is the perfect time to redesign your landscape! When you plant in the end of summer or fall you don’t have to worry about watering as much! Cooler temperatures and less exposure to sunlight helps the plants retain moisture better! Some people worry that planting at the end of season puts the plants at risk during the winter, but as long as the plants have an established root system before the first frost, they will make it through the winter without a problem! Give us a call today for a free consultation, and see what new ideas we have for you! Do you have a drainage issue along your property line? Grading your property and installing drains with underground piping can often solve the issue, but sometimes the surrounding ground can remain constantly damp and muddy even with these measures in place. In drainage situations this severe, we recommend installing a dry creek bed. With dry creek beds, the runoff water is directed away from your property and the surrounding ground is covered in stone preventing muddy areas from forming. Dry creek beds can easily be incorporated with your existing or future flower beds and landscaping. Want to find out if this might be the solution for you? Give us a call and we’ll schedule you a free consultation! What Makes Our Landscape Designs Unique? When a hardscape design is put together, a lot of times the surrounding softscape is an afterthought to the landscape designer/architect. At Montano’s Landscaping, we understand the importance of putting detail into both the hardscape and softscape aspects of the landscape design. 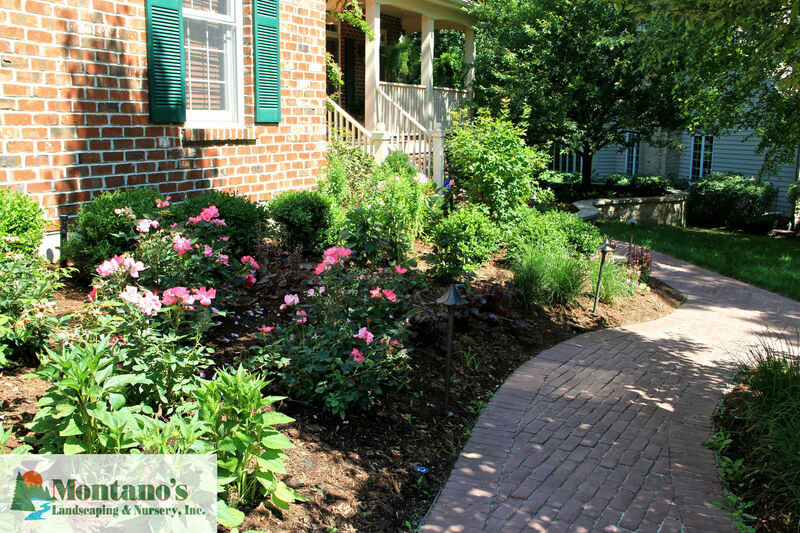 Our partner, Carlos Montano, personally designs each one of our landscape designs himself. Not only is he certified in CAD and 3D hardscape design, but he also has a degree in Horticulture, which gives him the knowledge base and skill set needed to create unique hardscape designs surrounding by a beautiful and well-planned landscape. Call us today to schedule your free consultation and see what we can create for you! Browse Our Galleries For Inspiration! If you’re looking for some inspiration for your landscaping project, check out our newly updated galleries by clicking the links below! We have conveniently broken them down into three main categories: hardscape, landscape lighting and softscape! Let the planning begin! The Cinnamon Birch Is Beautifully Unique! Looking for a unique tree for your yard? Consider the Cinnamon Birch in the clump form! This tree has a beautiful color and texture that can’t be compared! This tree also looks great in the winter as it stands out against the white snow! Cinnamon Birches are “clean” trees, requiring less maintenance from you! Give us a call and schedule your free consultation for more great ideas on plant material like this! A New Perennial Garden is the Perfect Remedy To This Year’s Harsh Winter! After the long, harsh winter we had this year, a perennial garden is even more appealing than ever! Get your design process started now with a free consultation with our landscape designer and horticulturist, Carlos Montano. We will help select plant species by taking maturity, color, blooming season, texture and disease/pest vulnerability into consideration. A landscape design is a great way to visualize your garden before purchasing any material! Call and schedule your free consultation today! “Best of 2013 Landscaping” in Lisle! We are proud to announce that we were chosen as the “Best of 2013” in the Landscaping category from the city Lisle! We would like to say thank you to all of our customers for your continued business, and of course, thank you to the city of Lisle. We are looking forward to a great 2014!